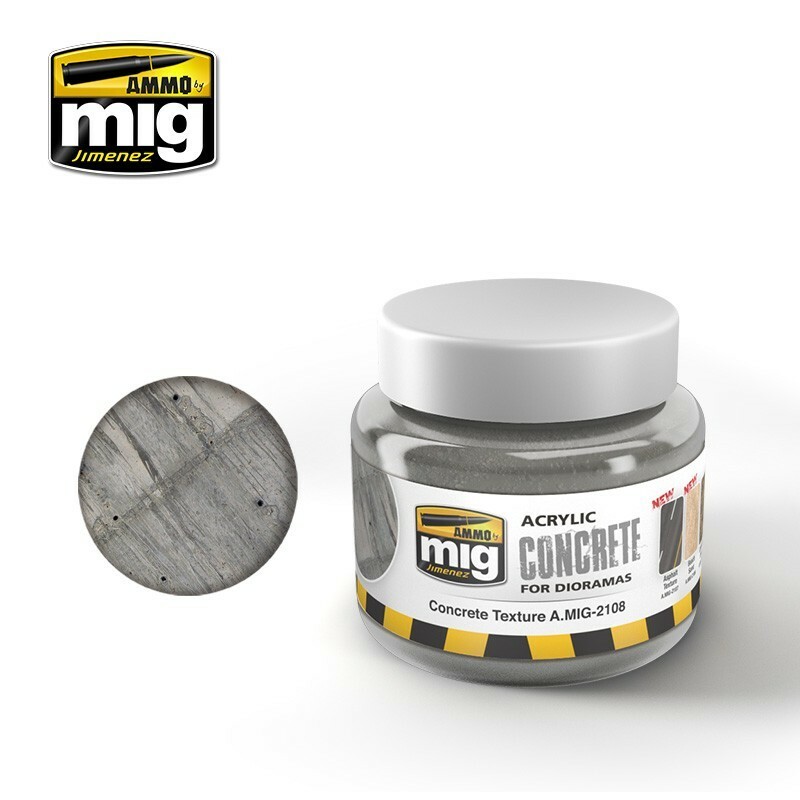 With a unique formula that provides extremely realistic results, AMMO has created the new CONCRETE TEXTURE effect to add the perfect finish to your small scenes and dioramas, practically indistinguishable from real concrete. The product features an acrylic base, which makes it easy to use and clean-up is simple. It can be applied to both large and small surfaces. The application method is remarkably simple: you can use any kind of tool at hand and the CONCRETE TEXTURE can be mixed with other weathering materials such as pigments or acrylic paints to create a full range of authentic concrete effects. It can be used for any scale ranging from 1/16 to 1/48. If the resulting surface texture is too grainy for smaller scales, the texture can be reduced by simply sanding the surface until the desired finish is achieved once the product has dried. Non-toxic, odourless, and can be cleaned and thinned with water; dries completely within 24 hours and can be mixed with similar products from our acrylic textures range.